Inevitably, car owners are going to need to have their vehicle serviced sooner or later. When that time comes, they are faced with the decision of where to have the necessary service done – at the dealership service center where the vehicle was purchased or at a local repair shop. There are several pros and cons to both, but for the purposes of this blog post, we’re going to focus on the work performed by the dealership. 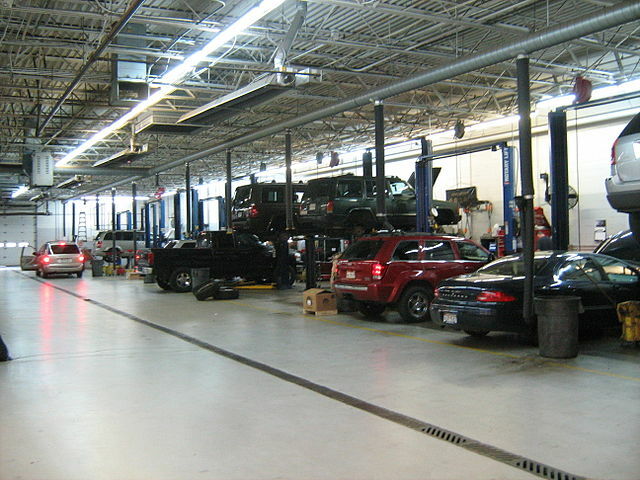 One of the biggest advantages of servicing a vehicle at the dealership begins right in the service bays. Dealerships employ technicians that are considered specialists in working on a particular line of vehicles. They are manufacturer-trained and, in most cases, only work on the make of vehicles that are sold through that particular dealership. The specialist training is often only offered to a manufacturer’s network of dealerships, and encompasses not only the service technicians, but service managers, advisors and support staff as well. This means that the men and women working on the vehicles have intimate knowledge of how these vehicles are supposed to perform and how/when to make necessary repairs. That knowledge is extremely valuable to dealerships, and it does not come cheap. Dealers typically offer higher salaries or other incentives in order to recruit and retain these specialized personnel, which in turn can increase labor rates. Despite the higher labor cost, drivers really do get what they pay for in terms of know-how, accuracy, and service. 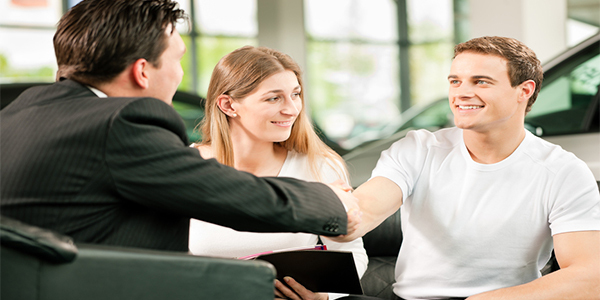 Another advantage is the relationship that is built with the dealership. By having a vehicle serviced regularly at the dealership, they have an accurate and up-to-date picture of the road and service history of that vehicle. They are better equipped to understand what is going on with each individual vehicle because they have all prior service records right at their fingertips. While shopping around for the best deal at local repair shops might save time and money in the short-term, drivers may run into issues such as being presented with conflicting recommendations, inaccurate diagnostic information, and inexact service timeframes in the long run due to a lack of consistent recordkeeping. While having work done at a local repair shop may be more convenient, the fact is that dealership service departments honor manufacturer and extended warranty coverage free of charge to their customers. This is a major plus to the customer in many ways, the least of which is to the wallet! Repair shops usually charge a deductible and/or for labor for warranty repairs and often have to order parts which are not usually kept on-hand – which could also lead to additional shipping charges passed on to the consumer by the repair shop. At a dealership, most parts needed to make repairs to the line of vehicles they sell are readily available, thus requiring less time for repairs to be made. Many of the warranty advantages are contingent on the vehicle breaking down within easy access to the dealerships, so if a problem were to occur further away from home, drivers may be in the situation where they have no choice but to use a local repair shop regardless of warranty coverage. Finally, dealerships also offer their customers OE (original equipment) parts for repairs to their vehicles. This is advantageous for those repairs that fall under warranty, but can cost customers more if they are not covered. Also, many dealership service centers will not install or service after-market products that are outside of the factory standard for that particular vehicle, leaving a local or specialty repair shop the only option for those owners. These advantages highlight some of the areas where using a dealership service center benefits car owners. Have you always used the service center at the dealership where you purchased your vehicle? Have some past experience, positive or negative, about dealing with a dealership service center? Let us know in the comments section below. We value your input! There is certainly no shortage of fuel additives on the market today! Most promise better fuel economy to longer engine life and everything in between, but do they really work as advertised or are they the automotive equivalent of snake oil? The answer to that question is actually a little more complicated than just a simple yes or no. We can understand why people would want to believe that these products work like a charm. Wouldn’t it be nice if you could pour an additive into your gas tank and significantly increase your car’s gas mileage? Or pop a pill in with your next oil change and make your entire engine like factory-new again? Of course it would, but the reality is that fuel additives are almost always over-promised and under-delivered – which may not only be a waste of money, but could be damaging to your vehicle as well. Part of the reason that so many of these after-market additives are ineffective is because most modern engines are controlled by the vehicle’s on-board computer. That computer relies completely on sensors to adjust engine functions, including fuel delivery, ignition timing and when the intake and exhaust valves open and close. Older vehicles, especially those that run on a carburetor rather than a fuel injection system, may see some increase in fuel economy, but that is probably due to an already decreased fuel economy (more on that in minute). For computer-controlled engines, auto manufacturers program vehicles’ computers to have the most optimal fuel economy with pure gasoline in the tank. Mileage-boosting fuel additives claim to increase the combustion efficiency of gasoline by adding unaccounted-for chemicals to the engine’s fuel. Change the chemistry, and you may actually find a decrease in both performance and miles-per-gallon (mpg). Now, that’s not to say that all fuel additives are completely useless. Carburetor and fuel injection cleaners, which work to eliminate residue, dirt, and rust from the gas tank that can clog up and slow down the fuel injection systems, have been known to improve fuel economy in vehicles that are suffering from a decrease due to this clogging. Although many products out there use glowing testimonials from customers, there isn’t much truth to their claims. You might even be saying to yourself, “I’ve used fuel additives in the past and really had positive results.” More than likely, though, any actual changes in mileage after using mpg-enhancing additives are more likely due to a change in driving style than to the effects of the additive. A strong subconscious motivation to justify the expense of these additives can make a driver pay more attention to driving efficiently, which is where the actual results are likely coming from. The bottom line is this: use fuel additives with caution, knowing that they may have little to no effect on the fuel economy or engine life of your vehicle and are therefore a waste of money; however, they could be causing damage to your engine. Your best bet in increasing fuel economy is to be more conscientious while driving. 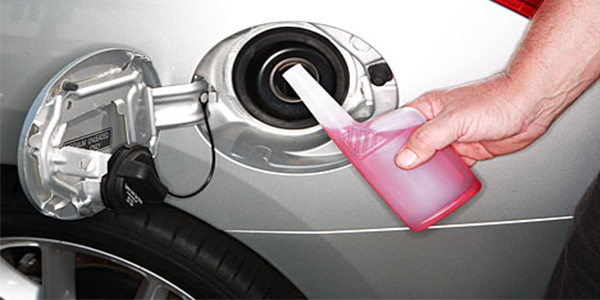 Have you tried a fuel additive in your vehicle in the past? What effects, if any, did you notice? Let us know in the comments section below. Thanks for your input! In past posts, we have talked about the importance of regularly scheduled maintenance to protect your vehicle investment. Although routine maintenance is a necessity, it can add up very quickly. But there are several areas of vehicle maintenance that you can do on your own for a fraction of the price – all you need is a little know-how, a little time and a little cash for supplies! Vehicle Detailing – Maintaining the interior of your vehicle is almost as important as maintaining the mechanics and the exterior, especially for retaining resale value. Auto detailing companies charge a lot of money for something that can be easily done on your own. Investing in the cleaning products and your time is a small price to pay to maintain the integrity of your vehicle’s interior. Simple things like treating leather seats and dashboard and vacuuming floorboards and seats requires little more than some Armor All and a handheld vacuum cleaner! Difficulty Level: Varies depending on how detailed you want to get. We mentioned earlier that all of these items required a little bit of know-how, but where do you go to find out how to maintain your vehicle? Great question! There are many resources available to you, but the first place to start is with the Owner’s Manual that came with the vehicle. This is where you will find all of the important information regarding your specific make and model and year. From there, you can jump online and check out e-learning sites like eHow, wikiHow and How-Cast to get step-by-step maintenance instructions for your vehicle. In addition, there are a plethora of great blogs (like this one) that write reviews on different types of products, like motor oil and wiper blades. As we said, with a little know-how, a little time, and a little cash, you can perform your vehicle maintenance at home! Have any other suggestions for DIY/home vehicle maintenance? Got an online resource that you use regularly for repairs? Let us know in the comments below – we always appreciate your feedback! Vehicles today are constructed with the highest level of standards to ensure both the driver’s and any occupants’ safety while riding in the vehicle. Unfortunately, from time-to-time, potentially unsafe parts are discovered after the vehicle has been released and sold to consumers. When this occurs, the automaker will issue a recall of the vehicle. An auto recall from a manufacturer usually involves a safety-related defect or a compliance violation with a federal safety standard. 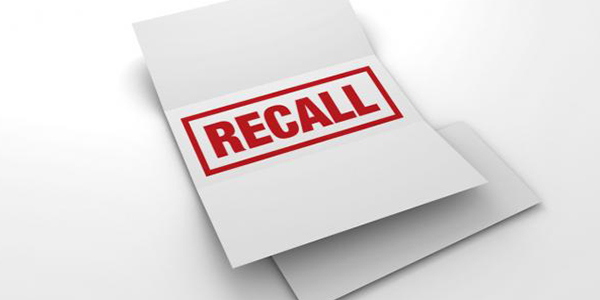 When a recall is issued, the manufacturer will notify owners, via letter in most instances, about the nature of the problem and will typically offer a free repair to bring the vehicle back into compliance with safety standards. In the instance of a safety recall, a letter or card will be sent to owners to notify them of the situation in detail. In this correspondence, the manufacturer will provide a description of the defect, the risk/hazard posed by the defect, potential warning signs to look out for, details of how the problem will be corrected by the manufacturer, and instructions regarding what you should do next. If you hear of a safety recall issued for your vehicle but did not receive a letter, there is no need to worry — all recalls are registered with the National Highway Traffic Safety Administration (NHTSA) before any letters are sent, so you should receive some correspondence regarding the recall shortly. The NHTSA’s recall site is also a great resource to check for any recalls that may have been issued on your vehicle. Once you receive recall correspondence, steps should be taken to arrange for the repair of what is being recalled. Although you many not be in immediate danger, it’s always smart to err on the side of caution and have the issue addressed as soon as possible. As an auto recall is usually an issue of safety, the repair to a recalled vehicle should be done free of charge by an authorized dealer. Since dealers contract directly with the manufacturer, they should be fully aware of any recalls and have on hand, or be able to get, the necessary materials to make the repairs. Again, recalls are registered with the NHTSA and are monitored to ensure that manufacturers (and by extension, dealerships) provide safe, free and effective repairs. However, it’s a good idea to bring any recall correspondence with you when you drop off your vehicle for repair. For more information on safety recalls and reporting a safety issue, be sure to check out the NHTSA’s online brochure. Have you ever gone through the process of having your vehicle repaired after recall? If so, tell us about your experiences – as always, we welcome your feedback! A few months back, we wrote a piece on how to test drive a car but what if a test drive isn’t possible? In today’s Part 1 of a 2-part piece, we’re going to focus on the actual process of purchasing a vehicle over the Internet. In general, the process of buying a new vehicle can be a daunting task which can be magnified if you decide to purchase a car over the Internet. While the Internet often helps buyers to research and find a vehicle or dealership, it can also be used to make the purchase of your chosen vehicle easy and cost-effective. However, it should be noted that this type of purchase is not without its risks. According to CarBuyingTips.com, the most sound advice for buying online is to do so under the assumption that there is no safety net. Thorough judgment and due diligence will help you to avoid being caught in a bad situation. Like with any purchase, make sure to ask as many questions as possible and know as much about the car as you can before agreeing on a purchase price and to make payment. The secret to success when shopping for a car online is doing business with someone who is reputable, whether it’s an automobile dealership or an individual found on the web (i.e CraigsList, eBay, et al.). Once you research and find a vehicle you’re interested in, email the seller and ask to see the car in person. It doesn’t matter if you don’t intend to follow through with a scouting trip – especially if the vehicle is in another state – the point of asking is to see if a seller turns you down or is eager to make time for you. Asking other questions is a great way to get to know a seller better and weed out potential fraudulent n’er-do-wells. For example, ask for additional photographs of the vehicle if you want a better view of the car’s interior, trunk or other parts. If a seller doesn’t answer you quickly or seems evasive, move on. According to DealerDNA, an automotive e-commerce solutions provider in New York, these are sure signs of someone looking to scam an unsuspecting buyer. Meanwhile, take advantage of other aspects of the Internet to research the potential seller. Social media sites and Google are great resources. Read the feedback posted by customers who’ve done business with a seller in the past, a feature of eBay Motors and other sites. Identifying reputable sellers is crucial. Once your hard-earned money leaves your hands, it is nearly impossible to track down an online thief and get your funds back. When shopping online, your best protection is your own due diligence. To get a full read on a vehicle’s history and determine its overall condition, start with its vehicle identification number, which any reputable seller should provide. Once you get the VIN, order a report on the vehicle from companies like CARFAX (read our blog on How to Read and Understand a CarFax Vehicle History Report) and AutoCheck that will reveal important details about the car, such as: accident or flood damage history; if the airbag has been deployed; previous odometer readings; and even if the car’s been salvaged. If possible, get a mechanic to look at the car on your behalf. Independent companies like SGS Automotive Services can inspect most cars for roughly $100, and you can hire an inspector to eyeball the car, even if the automobile is located in a city far from where you live. It should go without saying that any seller who balks at an inspection is probably unreliable – and so is their car. In that case, it’s probably smartest to close the browser window on the seller and search for a new vehicle. Note: Vehicles sold “as is” pose the greatest risk to buyers because when you purchase them, you’re agreeing to take on any problems with no warranty to protect you. For that reason, expect little-to-no chance of recouping your money from an “as is” seller. Check back next for Part 2, where we will focus on buying from a dealership online and how to handle payments. 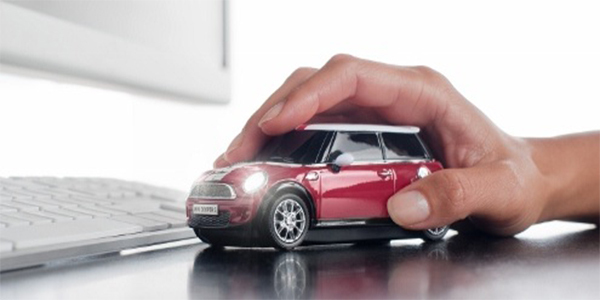 Have you had any dealings with buying a vehicle from a private seller online? Or made the decision to purchase an “as is” vehicle, only to regret it later? Let us know in the comments section below. As always, we appreciate your feedback! Now that summer has come and gone, fall is here and right behind that, the colder months are approaching. Just like you switch out summer clothes to winter clothes, this is a good time to prepare your car for the cooler weather and make sure it is in tip-top shape! So without further ado, we’ve provided a checklist to ensure that you don’t miss a thing! Replace your windshield wiper blades. We recommend a fresh pair of wiper blades for your car every six months. In addition, you’ll want to make sure your windshield washer fluid is full. This is the time of year you will want to replace it with the wiper fluid with added antifreeze if you drive in colder-climate areas. Check your tires. Check the tread and tire pressure of your tires. Fall brings with it slippery roads as the result of fallen leaves combined with rain (and in some areas, even snow). Make sure that you have a safe amount of tread left on your tires and that your tires are inflated to the optimal level. It is always a good idea to have your tires rotated on a regular basis to ensure even wear. Check your spare tire as well to make sure that it is functional in the event that you need it. Check your fluids. 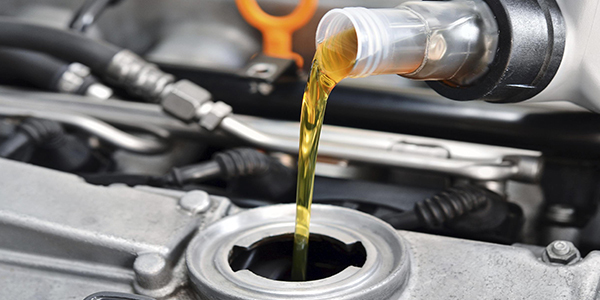 To keep your car running smoothly, check all of the fluids and have a complete oil change when necessary. Today’s cars actually have indicators to alert you to when your oil needs changing; but if you have an older car, a good rule-of-thumb is to change your oil every 3,000 miles or so. Fluids to check include coolant/antifreeze, brake, transmission, power steering, and, of course, windshield washer fluid! Top off any fluids that are low. Check your brakes. In many cars, brake pads can be checked by looking through the wheel. If you can, inspect each brake pad, and if any look thin- it is time to replace them. Another way to know they are in need of replacement is to listen. Brakes make noise as an early warning that it is time for replacement. Replace your brake pads before it’s too late; if you wait too long, poor wearing on the surface of the brake pad can damage the rotors which leads to a bigger expense and a more difficult job. If you aren’t sure about your breaks, take the car to a professional mechanic who can do an inspection of the brake pads and rotors and advice you as to their condition. Some mechanics even do this as part of an oil change service. Check your battery. Batteries work harder in the colder weather, so you’ll want to make sure your battery is fully-charged and has plenty of life left! Check your connections and make sure they are clean and free of corrosion. Many battery and auto stores will do a free battery check to determine when it’s time for a new battery and even clean-up any corrosion or debris on the terminals. Check your heater and defroster. Lastly, you’ll want to check your heater and defroster. As the weather gets colder, your defroster and heater are essential to keep you moving on a daily basis. If either of these is not working properly, it is best to have a mechanic take a look. Don’t be left unprepared. Let the colorful scenery of the change of leaves be an indicator that it’s time to check and service your car. If we didn’t mention something that you feel should be on our checklist, feel leave us a comment below. 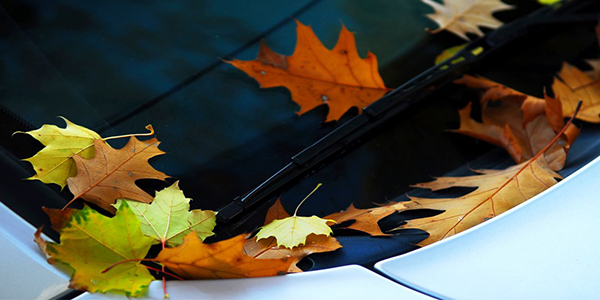 Wishing you and your car a safe, healthy fall season. We drive by car accidents all the time, often trying to get a glimpse to figure out what happened. But do you know what to do if YOU are involved in an auto accident? Below is a list of things to keep in mind if you find yourself in this unfortunate situation. Stop! Always stop after an accident! Failure to stop at an accident in which you are involved is considered a hit and run and is a crime. Just being involved in an accident is a scary thing, but leaving the scene of an accident will not make things better. Stop your car, take a breath, and then get out of the car (if you can) to assess any injuries, damage, and the overall situation. Immediately evaluate the injuries of everyone involved in the accident and call 911. 911 will dispatch the appropriate emergency personnel for injuries and will dispatch police to the scene. Policies vary from state to state, depending on the location of your accident. Some police departments don’t compile a police report if there are no injuries and/or damages involved. However, if the police need to take your statement, be honest and state just the FACTS of the accident as you remember them. To promote safety, move cars out of the roadway and out of the way of moving vehicles. If this is not possible, put hazard lights on and remain in a safe area until help arrives: either in the car with seatbelts on or out of the car in a safe area off of the road. If you have access to flares or cones, put them on the road to alert motorists of obstructions to the roadway. Document the accident. This is easy to do in this day and age of technology. Take pictures from all angles of the vehicles and especially damage to the vehicles. Some people recommend keeping a one-time use camera in your glovebox for this reason. However, with smart phones so widely used, most people have access to take pictures with their phone. To better document the accident, if there were any witnesses present, try to get their names and numbers. This will all come in handy if there is a dispute regarding who’s at fault. Exchange information. You will want to exchange as much information as you can with the other drivers involved in the accident. The most vital information includes driver’s name, address, phone number, driver’s license number, insurance information, tag number. Also, obtain the name, address and phone number of each passenger of any vehicle involved in the accident. Make sure all the information you get and give is current, including the expiration date of all auto insurance. Contact the insurance company. Call your insurance company and the other driver’s insurance company and report the accident. You will want to have all the information you exchanged with the other driver to give a detailed report. The insurance company will want a statement regarding the accident. Whenever you give a statement about the accident, be sure to state only the FACTS of the accident as you remember them. Later, if there is a question of fault, your statement should be essentially the same regardless of when and to whom it was given. Keep all documents regarding car repairs and medical expenses. There will most likely be repairs needed to your car, so keep all your quotes and any bills that pertain to the repair of your vehicle, including a rental car if one was used. Since many accidents involve injuries as well, seek medical attention for yourself and/or any of your passengers immediately. Document and keep records of any medical treatment and expenses as a result of this accident. 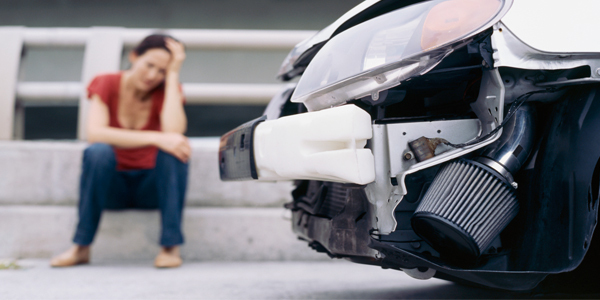 Car accidents can be worrisome, especially if an injury is involved. Hopefully, you never have to deal with an accident! However, if you find yourself involved in an auto accident, these tips should help you get through the process a little easier. Seems like just yesterday that your child was crawling on the floor in front of you and all of a sudden, they’re behind the wheel of your car! Preparing and teaching your child to drive can be a difficult task, and for some, more emotional than physical. With car accidents constituting the leading cause of death in teenagers, we need make sure our children are well-prepared to be safe and cautious drivers. Read below for some tips to help you through this crucial coming-of-age transition! No matter what you’re doing, always be a good role model! As parents, we know that kids learn from real-life experiences and adult behaviors that they’re accustomed to witnessing. The same goes for what they see when you are the driver. So, if you are an aggressive driver and tailgate cars in front of you, they will think this is the norm for all drivers. Instead, it’s best to set a good example in the driver’s seat with an eye toward teaching your child to drive defensively and cautiously (for example, wear your seatbelt, stay within the posted speed limit, don’t drink and drive, use blinkers when turning, no use of electronic devices while driving, no eating while driving and other distracting activities). The more your child sees his/her role models employing these safe driving habits, these behaviors will become second nature to him/her, and he/she will have no alternative than to become the safe and attentive driver you want him/her to be. Know the requirements and rules for driving in your state. Sign your child up for a state approved driver’s education program. Even if your state does not require such a class, this is the best way for your child to learn the driving basics and rules from a professional and, as an added bonus, often secures a discount on your child’s auto insurance! As parents or guardians, we may forget to teach them something that we think is common sense or second nature after driving for so many years. For example, at some intersections it is permitted to make a right turn on a red light. As experienced drivers, we know that we have to stop and look before we make a right turn on a red light, but a new driver may think they can do exactly that – just make a right turn – and don’t need to stop and check first–which could have disastrous results. Most driver education programs include time on the road with a driving teacher who is not the child’s parent, which is an added bonus. Once your child has his/her learner’s permit, spend a lot of time in the car with him/her as the driver. Help your child to get as many hours driving as possible before you send him/her off alone. Most states have a required amount of supervised hours that new drivers have to be on the road before they can apply for a permanent license. This time together is a great time for you to instill all the good driving habits you want your kids to have and to correct any bad habits you notice before they become routine. Make sure your child has time driving in all different types of driving conditions. You want your child to become familiar with driving in all types of driving conditions. Start with daylight hours during good weather and during times with less traffic on the roads. Slowly add in different conditions, like rain and night hours. Build up to driving on highways and in times with more traffic. Allow plenty of time for driving in each various road/weather condition. This will make it easier for your child to adjust to different situations once he or she is driving alone. When you feel that your child is ready and all the requirements have been met, it’s time to take him/her to the driver’s test. Once your teenage driver has his/her permanent license, the teaching shouldn’t end! Be sure to model and enforce the new driver regulations that your state has and maybe even add a few of your own. Keep in mind that teenage drivers are more prone to accidents and distracted driving when other people are in the car with them. We realize that watching your child pull out of the driveway alone for the first time is a difficult thing! But following the tips above can help you to ensure that your children are ready, experienced and well-educated. Do you have any suggestions that we have not mentioned in helping you or your children to get through as a new driver? Please leave it in the comments below. We love to have your feedback! Not sure if it’s time for a car purchase? Many factors must be considered before you make the decision that it’s time. We wonder – is it better to buy that shiny new car (who doesn’t love new car smell?) or should I squeeze a few more miles out of the old one? Since there’s so much to consider, we’ve outlined the most important factors below. Hopefully, this will help to make your decision an easier one! Safety is the number one priority. If you feel unsafe in your current vehicle, it is time for a new car. Safety features are constantly changing and improving. For instance, airbags have been a standard safety requirement on cars since 1989; but in the last 10 years alone, manufacturers have added side, curtain, and center airbags, making cars even safer. Other safety features continue to evolve as well. If you are concerned about whether or not you will arrive at your destination safely on a regular basis, it is time to upgrade. Aside from safety, there are maintenance and repair costs that can affect your decision. When these costs start to outweigh the actual value of the vehicle, it is time to consider purchasing a new vehicle. Keep in mind when comparing the costs of maintaining an old car versus purchasing a new one that the insurance costs are typically higher on newer vehicles. An unreliable car can cost you more than just money—for example, if you are consistently late because you have car trouble, this could affect your job and your personal life. Fuel efficiency has become more and more important over the years with the rise in gas prices. If you have a long daily commute and you’re driving a vehicle that has poor fuel efficiency, the monthly payment of a newer and more fuel-efficient car may outweigh your current monthly gas expense. Car manufacturers have improved fuel efficiency to the point that some cars are capable of getting 40 to 50 miles per gallon. This is more than double the miles per gallon of vehicles with poor fuel efficiency. Over time, this savings in gas can really add up, not to mention that the more fuel-efficient vehicles are easier on the environment! Sometimes the decision to buy a new car boils down to a change in lifestyle. If you drive a sporty two-seater and you are expecting an addition to your family, it’s time for a bigger model. Same goes if you’re still driving the family minivan and the kids are grown–maybe you want to go back to the sporty two-seater! Other changes in your life that should be considered before deciding if now is the time for a vehicle purchase are getting married, buying a house, a job change, a change in the length of commute and/or changing financial status. Whether you have just started considering a vehicle purchase or you’ve been pondering the idea for some time, weigh out all your options and make a strong, sound decision. Sometimes it’s hard to let go of that favorite car you’re so used to but before you know it, you’ll have a new favorite.